Learning to boat safely is important – the increased knowledge will enhance your safety on the water and your enjoyment of the sport. The Sarasota Power and Sail Squadron offers several safe-boating courses to the public throughout the year at building on Hyde Park Street. We also have a Video Library along with many great courses. For a complete schedule of our 2018 seminars and courses in a PDF format click here. All of our courses and seminars, except ABC, require pre-registration and payment no later than three days before the session begins. If, prior to course start, you find that you are unable to attend, the registration fee is fully refundable. If the deadline has passed and you wish to take the course, contact the squadron education officer to determine if the course is still available. All of our courses and seminars, except ABC, Offshore Navigation, and Celestial Navigation require a minimum of 4 students for the course to be taught. ABC has no minimum and Offshore Navigation, and Celestial Navigation require only 2 students to be taught. If, three days before the session is to begin, less than the minimum students have pre-registered, the course or seminar will be cancelled and any paid registration fees will be refunded. Should the student count go below the minimum any time after the pre-registration deadline, including during course instruction, the course may be cancelled or continue at the instructor’s discretion. America’s Boating Course gives you the knowledge to decide what type and size boat you need, what to do when meeting another boat in a crowded waterway, and how to recognize and handle hazards. 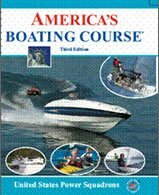 Become a more competent boater, learn from the best, take America’s Boating Course today. This course can be taken as a classroom course at our headquarters in Sarasota. Unlike other USPS courses, the Instructor Development course is not designed to enhance boating skills. Rather, its emphasis is on enhancing presentation techniques and instructor skills. The course has been designed to demonstrate interactive teaching methods focused on adult learning. Students are required to prepare lesson plans and give three presentations to their peers utilizing a variety of teaching aids and presentation skills. Want to take a “road trip” on the water? Gain the confidence and practical skills needed to explore ports and coves for a weekend or weeks at a time. Take Cruising and Cruise Planning and join your fellow boaters for raft-ups and rendezvous up the river, down the bay, and along the coast. Learn the ins and outs of your boat’s navigation systems. Gain the confidence in understanding Global Positioning Systems (GPS), chart plotters, programming, using computers and tablets, and readily available software on the market today. There is also a section devoted to the Automatic Identification System (AIS). Enroll in this course today. Learn the ins and outs of your boat’s electrical systems. Gain the confidence to tackle direct current, shore power and communications installations. Ensure the safety and reliability of your vessel; enroll in this course today. Build boating confidence and competence for safe and fun on-the-water adventures. Boat Handling provides a foundation of knowledge and skills in boat handling and maneuvering, boat operation, skipper’s responsibilities, and boating techniques that will advance your boating enjoyment. This course is normally completed in 7 two-hour sessions: six sessions of study, one session of review and exam. Learn the essentials of safe coastal and inland navigation using basic GPS in conjunction with charts and other marine data. The Marine Navigation course teaches you how to use the GPS along with traditional dead reckoning techniques for planning and laying out safe routes, as well as ensuring that you are on-course while underway. Do you want to navigate unfamiliar waters in limited visibility or take an extended cruise with confidence? Learn to use radar, chartplotters, AIS and other electronic tools to supplement basic GPS navigation. Obtain a thorough understanding of piloting techniques in a variety of coastal tide, current and wind conditions. Advanced Marine Navigation is the final part of the inland and coastal navigation series. This material continues to build on the base developed in Piloting, and includes practical use of additional electronic navigation systems and other advanced techniques for finding position. Among topics covered are: finding position using bearings and angles, collision avoidance using GPS and RADAR, what to do when the electronics fail, tides, currents and wind and their effect on piloting, and electronic navigation with GPS, chart plotters, RADAR, autopilots, etc. This course includes many in-class exercises, developing the student’s skills through hands-on practice. Classes will begin at 1830 (6:30 PM) and will be held each Thursday for approximately 10 weeks. The cost is $80.00 for SPSS members, $109 for Partner Organizations and $120 for non-members. If you are interested, please call me at (941) 400-6467 or e-mail me at albur103a@gmail.com to register. What happens when your GPS fails? Have fun and satisfy your curiosity about boating in the days before electronics in the Offshore Navigation course. Learn to use a marine sextant to take sights on celestial objects such as the sun. Even if you are not traveling long distances offshore, remember that GPS is not infallible, nor always available. Be confident when no aids to navigation or land objects are in sight. This interesting and challenging course emphasizes the practical aspects of daytime celestial navigation. You will also learn to prepare a sight folder that documents your positioning skills using sights taken on the sun. The course will take approximately 13 weeks to complete and you will have two additional weeks to complete an open book exam. This seminar covers RADAR functions, RADAR selection, and operation of RADAR under various conditions including setting of controls, display interpretation, basic navigation, and collision avoidance using RADAR. Get familiar with your boat’s VHF marine radio in just two hours. Experienced instructors teach you how to use VHF radio like a pro, including the new digital selective calling (DSC) rescue feature. You’ll also get tips on purchasing and installing VHF to get the most out of your investment. A handy waterproof McGraw-Hill Captain’s QuickGuide Using VHF is included with essential information that you should have aboard. This QuickGuide explains to anyone on your crew how to use the radio, a real benefit if you’re unable to help in an emergency. Are you getting the most out of your sailboat? Learn how to set up your boat’s rigging and how to use and adjust your sails for optimum performance under a wide range of conditions. You’ll sail like a pro using the tips from this seminar. The seminar includes a copy of the waterproof Captain’s Quick Guide Sail Trim and Rig Tuning by Bill Gladstone and North Sails, as well as a copy of the seminar Student Notes. Don’t leave the dock without knowing the rules of the road. This seminar simplifies the sometimes complex U.S. Inland Rules and International Rules, or COLREGS, for the recreational boater. Through examples, you’ll discover how to avoid collisions in various situations, the differences between power and sailboat rules, and the special rules for fishing vessel. This seminar includes McGraw-Hill’s The One Minute Guide to the Nautical Rules of the Road by Charlie Wing, as well as Student Notes with slides. This seminar is also a starting point for study preparation for the USCG License examination. Are you a crew member or passenger who has no idea what’s going on during a boat trip? Learn the essential skills you will need to help the skipper safely operate a recreational boat, including how to respond in an emergency. You’ll become an asset on board with Partner in Command. The Partner in Command seminar includes an introduction to boating, understanding anchoring, docking, and navigation, preparing for bad weather, first aid and on-board emergencies, and more. Partner in Command may be taken in a squadron-run session or as a fully interactive online learning experience. Either way, this comprehensive seminar can be completed in 2-4 hours and comes with a full color Student Guide for the seminar. Encompassing everything from canoes, kayaks and paddle boats make boating affordable and accessible for everyone. USPS training helps you do it safely. Based on a compendium of information from the paddling community, this seminar prepares you to boat safely on small lakes, streams, and rivers. The seminar kit includes an attendee workbook for note-taking and reference and “The Complete Sea Kayaker’s Handbook” by Shelly Johnson. Included as a bonus is“Introduction to Paddling – canoeing basics for lakes and rivers” by the American Canoe Association. When a named storm threatens, you need to be prepared and protect your boat. In this short seminar, you’ll learn how to select a location from which to weather the storm and prepare your boat for a hurricane. The kit includes Student Notes with copies of the slides. Whether you’re planning a cruise, going fishing, or traveling to a local marina, knowing how to read and use nautical charts is essential to safe boating. Charts include must-have information, including bottom contours, hazards, and aids to navigation, to help you travel safely. Each student receives a waterproof flip-fold Chart Symbols and On-the-Water Guide to take along on the boat with you, as well as a Student Guide for the seminar. Today, electronics have radically changed navigation, but understanding the basics helps you gain confidence in your equipment and your own skills. In this seminar you’ll learn practical techniques to plan, navigate, and check your progress on the water. You will develop situational awareness skills using your eyes and navigation tools to quickly point to your position on a chart, and be able to use backup techniques when the electronics become suspect. This seminar will help both captain and crew to navigate safely and comfortably. The seminar kit contains The Weekend Navigator textbook, a Seminar Notes booklet, and Maptech’s Chart Navigator Training CD, which includes software and digital charts to gain familiarity with this new technology. Are the winds too strong? What is a small craft advisory? The safety and comfort of those who venture out on the water have always been weather dependent. This seminar, a must for boaters who have never taken a weather course, will help you answer these questions and gain an understanding of the forces acting on your boat. Understand the forecast and know what to expect, whether you’re in a kayak, trawler, sailboat, or schooner. This seminar presents a complex subject in a way that is both understandable and useful. Each seminar participant receives a waterproof McGraw Hill Captain’s QuickGuide – Onboard Weather Forecasting – designed for onboard and field use, along with a Student Guide with slide images and complete notes written especially for the seminar. Basic Weather and Forecasting may be taken in a squadron-run session or as a fully interactive online learning experience titled Weather for Boaters. Either way, this comprehensive seminar can be completed in 2-4 hours. The Celestial Navigation course will teach you how to use the moon, planets, and stars to determine your position at morning and evening twilight to supplement daytime sights on the sun, moon, and bright planets. You will also get access to and use navigational software tools that can be used to plan and execute any voyage. Don’t drift! Understand the issues and problems involving anchoring, such as anchor types and sizes. Learn proper anchoring techniques for your area. By understanding anchoring conditions and situations, you’ll protect your boat and get a good night’s sleep on the water. The kit includes the Anchoring Quick Guide and Anchoring Seminar booklet. Sarasota Power & Sail Squadron in partnership with Freedom Boat Club has developed an on the water small boat maneuvering course. We put you behind the helm of a 20’ -23’ outboard and instruct you in the basic maneuvers-docking & undocking, pivot turns, close quarter boat handling, throttle control, engine control, planning, crossing wakes and anchoring. 2 1/2 hours of classroom to brush up on the regulations and review what maneuvers we will do on the water. 15-20 minutes on the only virtual boat maneuvering simulator in the state of Florida then 4 hours of on the water, hands on training. $125 member price, $175 non-member price. 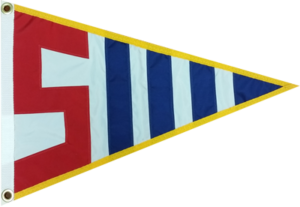 Completion certificate of a classroom course ( sorry no on-line course completion certificates are accepted for this course) of a United States Power Squadron or United States Coast Guard Auxiliary safe boating course is required to take this course.Open to persons 21 years and older. One of the most exciting aspects of membership at SPSS is the opportunity to take advantage of the wide array of courses offered to members. The program is diverse and challenging, and offers the promise of greater enjoyment and safety in your own boating activities – as well as the satisfaction of personal accomplishment. Like all activities in the Squadron, participation is purely voluntary, and the instructors offer their services without pay. An exciting new program we have started is our Small Boat Maneuvering Course. This program is a combination of a three-hour classroom experience and a four-hour hands-on on the water training experience. A certified instructor will work with teams of three people to help you develop basic boating handling skills. Courses in Boat Handling, Marine Navagation, Celestial Navigation, Marine Electronics, Weather, Engine Maintenance, Cruise Planning, GPS, Radar,and more. More than 20 self-study and video courses are available on a variety of subjects such as Radar, Oceanography, Navigational Astronomy and Boat Insurance. Extensive Library on Nautical subjects, Charts, Videos, Magazines and more. Successfully completing the America’s Boating Course meets the educational requirements for boat operation in most states. The Educational Trust Fund is an opportunity to give back to SPSS, which has given so much over the years, and to help ensure its continued success in bringing boating education to all.